CHARACTERISTICS: Its colour is ruby garnet red with slightly orange reflections after ageing. The smell is ethereal, wide and embracing with scents of rose, violet and soft balmy notes. The taste is dry, severe, savoury and harmonic. 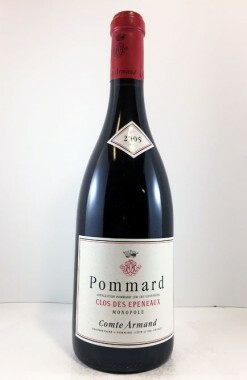 It matches very well with red and braised meat, game and cheese. VINIFICATION: Is performed in thermo-controlled steel tanks or in concrete ones with automatic pumpover systems for a time of 20 – 30 days. The ageing takes place in Slavonia oak barrels of medium and large capacity (20 – 50 Hl) for at least 3 years. 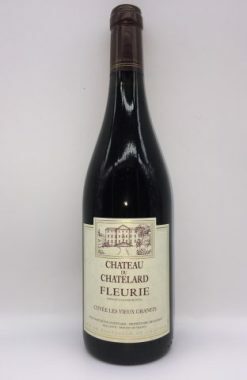 After bottling the wine goes on improving its elegance and harmony for several years. CHARACTERISTICS: Its colour is ruby garnet red with slightly orange reflections after ageing. The smell is ethereal, wide and embracing with scents of rose, violet and soft balmy notes. The taste is dry, severe, savoury and harmonic. 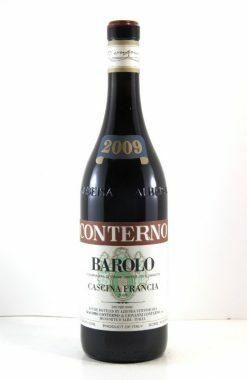 It matches very well with red and braised meat, game and cheese. The suggested serving temperature is 16° – 18°C. The great traditionalist estate of Francesco Rinaldi & Figli is one of the greatest names in Piedmont. 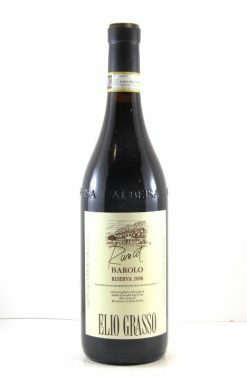 Located in the town of Barolo itself, the domaine of Francesco Rinaldi has a long and illustrious history in the region. 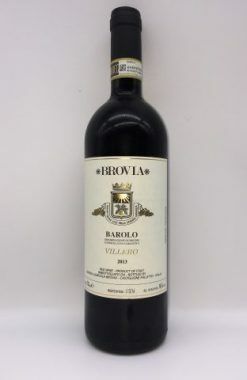 It was founded in 1870, when Francesco Rinaldi inherited a vineyard and house in Barolo, inducing him to leave behind his work with the very large Mirafiore estate and set out on his own. 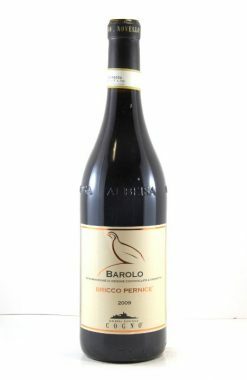 His family at that time also had ties to the then greatest estate in the Barolo region, Barale-Rinaldi. 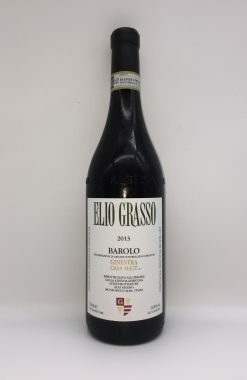 Francesco was the cousin of Giuseppe Rinaldi, and together these two superb family wineries have marched down through time side by side, both upholding the unique, traditional style of Barolo. 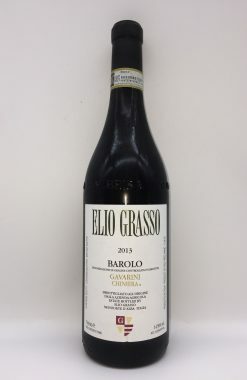 One hundred and thirty years later, much of the same techniques are still used in the Francesco Rinaldi cellars to produce some of Barolo’s greatest wines. 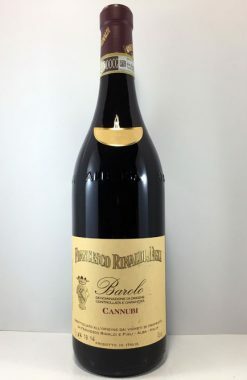 The estate is now run by Luciano Rinaldi’s niece, Paola Rinaldi, with help from her sister Piera, and they continue to make beautiful wines within the great traditions of Barolo, avoiding new oak, and preferring long macerations and aging in large Slavonian oak prior to bottling. 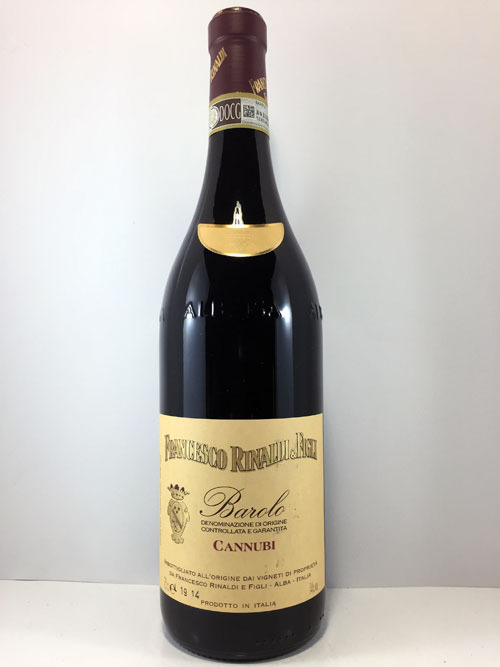 The two flagships bottling at Francesco Rinaldi & Figli are the single cru Barolos, Brunate and Cannubio. 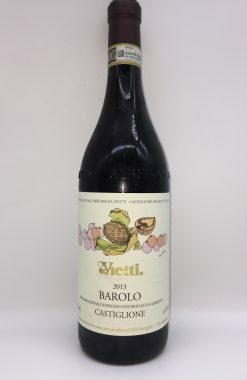 Brunate (which lies on the border between La Morra and Barolo) and Cannubio (or Cannubi) are, without doubt, two of Barolo’s five greatest vineyards. Wines from the Brunate vineyard are prized for their depth, fragrance and brilliant balance, while those of Cannubio (the single greatest vineyard in the village of Barolo and the most famous and historic vineyard not just of Barolo but of Italy) magically light and perfumed, perform particularly well in rainy years, for the high sand content of this particular site allows for excellent drainage. It is, like Brunate, a true grand cru in the real sense of those two words.